Kenya to seek out all responsible for hotel attack: Kenyatta - SABC News - Breaking news, special reports, world, business, sport coverage of all South African current events. Africa's news leader. 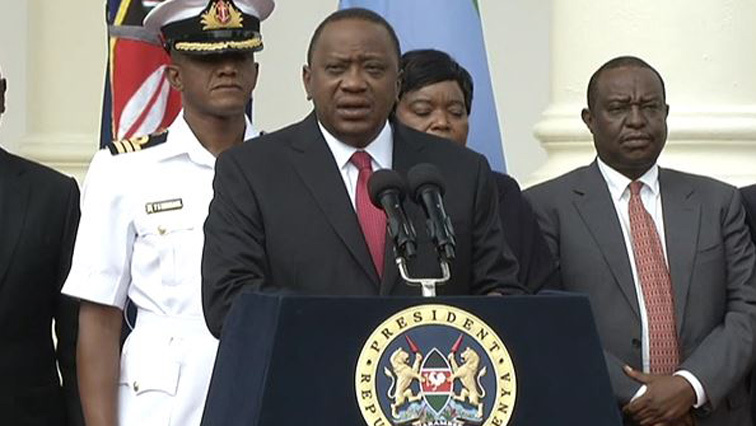 President Kenyatta says they will relentlessly pursue all those involved until they are held to account. Kenya’s President Uhuru Kenyatta says his country’s security authorities will seek out every person that was involved in the funding, planning and execution of Tuesday’s attack in the capital, Nairobi. Fourteen people were killed in the attack. This after four men stormed a hotel complex with explosives and bullets, sending by-standers diving for cover and trapping civilians inside. Al-Shabaab militant group, which carried out an attack a notorious assault on a Nairobi shopping mall, has claimed responsibility for the attack. Kenyatta says the perpetrators of the attack can run but they can’t hide. Meanwhile, the International Relations Department says no South Africans have been caught up in the attacks in Kenya. It says government has noted with concern the terrorist attacks in Kenya. The department says the government condemns in the strongest possible terms the attacks on the government and the people of Kenya. This entry was posted on 16 Jan 2019,10:52AM at 10:52 AM and is filed under Africa. You can follow any responses to this entry through the RSS 2.0 feed. Both comments and pings are currently closed.